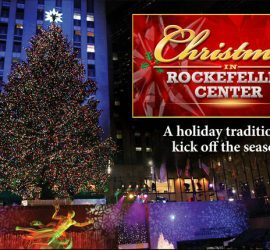 JT will join Sting and many others for the annual “Christmas In Rockefeller Center” special airing December 2 at 8 p.m. on NBC. See the Tour page for details on all JT’s upcoming appearances. JT will perform a benefit concert at the Grammy Museum in Los Angeles on September 25, then you can catch him on “The Ellen DeGeneres Show” on September 22, “Jimmy Kimmel Live” on September 25, and finally Austin City Limits (PBS TV) on November 14. See the Tour page for all the details. JT will play an invite-only concert at the Apollo Theater in New York City on June 16, the same day “Before This World” is released. The show will be broadcast live on satellite radio network SiriusXM’s new James Taylor Channel that launches May 22. JT visited Howard Stern’s radio show for a lengthy interview and performance on May 12. See HowardStern.com. See Stereogum for a new interview with JT including a full-length preview of “Montana,” one of the new songs on “Before This World.” JT talked with Charlie Rose about the new album on Rose’s May 14 show. Watch the episode online. View image | gettyimages.com JT will perform on NBC TV’s “Today” on June 15 as part of their summer concert series. 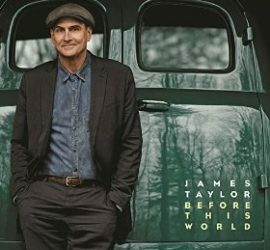 “Before This World,” JT’s first album of new songs since 2002, is now available to order from Amazon.com on CD, MP3 download, a deluxe CD/DVD, a limited edition deluxe book version, and even vinyl. It’s also available via iTunes. There’s a flurry of promotion around the album’s release, so be sure to read on for all the details.